It's been two years since Everything Everything released their debut album 'Man Alive', which subsequently received a Mercury Prize nomination last year. Their electro-infused indie rock style was a hit with the critics and public alike - upcoming album 'Arc' is hotly anticipated, from which Cough Cough is the first single. The stylish video sees the band smacking some bass drums, which is appropriate for the song's huge emphasis on percussion. More minimalist compared with their previous hits, Cough Cough is driven predominantly by thumping beats. That's not to say the production isn't full - the drums breaking out in a beastly roar, accompanied by Jeremy Pritchard's funky basslines, skittering synth melodies and Jonathan Higgs' rough falsetto. The coughing noises may be off-putting, but this is an anthemic record that paves the way for a superb sophomore album that will see the band truly hitting their stride. "I'm coming alive", Higgs repeats in the chorus. Too right. 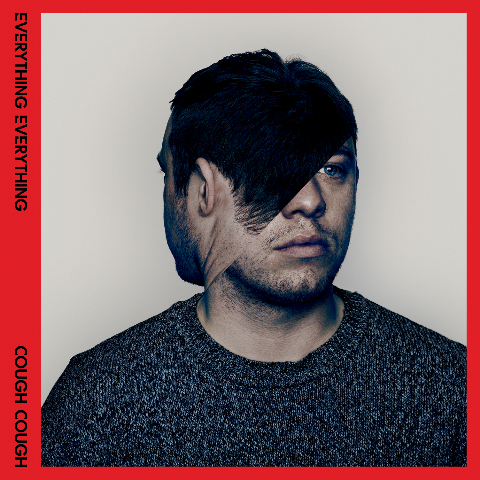 Listen: Cough Cough is released on 14th October. 'Arc' will follow next year on 14th January.